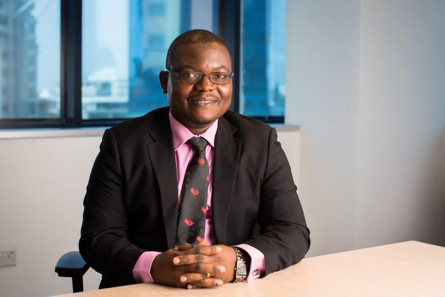 Gayheart Mensah, External Affairs Director at Vodafone Ghana, has subtly criticised business organisations for their ineffective deployment of Public Relations (PR) concepts and interventions. Unless organisations in Ghana evolve in a way that promotes sustainability, the very survival of businesses would be difficult to guarantee, according to Mr Mensah. Speaking at the CIMG Annual Marketing Conference in Accra recently, Gayheart Mensah said though PR department had become the pillar in engaging external audiences about a company’s efforts, there still remains a certain pervasive lack of understanding of the concept in corporate organisations. “When I hear marketing agencies present marketing plans and add a line that they will also do some PR, my exasperation about the misconception worsens. Let me say with all the force I can command that what we marketers and marketing agencies do as part of an integrated marketing communications is not public relations. It is, at best, publicity, which is a tool for both marketing and PR,” he stated. Mr Mensah added that PR has a very broad spectrum that includes stakeholder management, advocacy, reputation management, investor relations and crisis management. “Marketers need to embrace the bigger picture and understand that PR is an overarching practice that encompasses every facet of the corporate life,” he said. The Vodafone Director added that at no point should government consider legislating the CSR space, since it is an activity that should be voluntary. The CIMG conference is organised annually to bring together marketing professionals and academicians across the country to deliberate on modern trends of the discipline, as well as adopt ways of strengthening the discipline in the corporate world.